Ysolda Teague is a fine, young British knitwear designer. A lot of knitters really like her Peaks Island Hood. 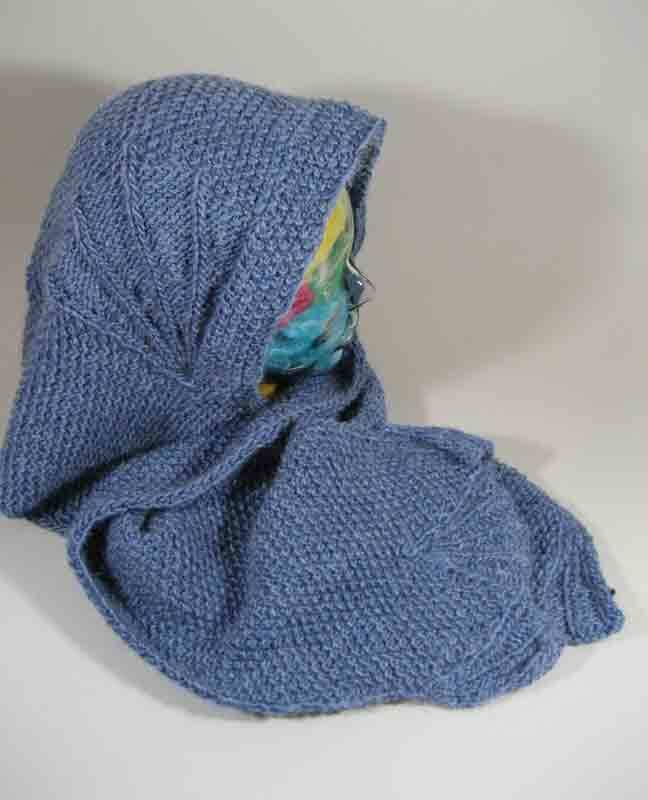 Here’s how it looks on Ysolda, along with a link to the pattern download. I made some modifications, including substituting Rowan Coccoon for Green Mountain Spinnery Mountain Mohair. It proved a good yarn choice. Green Mountain is a 70/30 wool mohair blend. Coccoon cuts the halo effect down a bit, at 80/20 merino/mohair. I decided that the three buttons and (pardon me) lopsidedness of one side being significantly shorter than the other side were not to my liking. So I added sixty rows of seed stitch to the second side. The lengths of the sides are still uneven, but not to the exaggerated degree of the original pattern. And now a word about the pattern. Confusing. That’s the word. Needlessly confusing. That’s the two words. Because this is a simple pattern once you figure out what’s going on. But without charts and without stitch by stitch instructions for the shells at the beginning and end, and less so for the ear-height stitch adjustments, everything but the miles and miles of seed stitch leaves too much to the imagination. Of course, some knitters are way better in the imagination department than I am. There’s lots of help from the good knitters on Ravelry, though, including in the Ysolda group. This knit is for me. My gray-headed 58 years are going to look more babushka than hoody, but it still will feel quite yummy and be very warm. I’ve decided to feed my inner selfish knitter on this one. 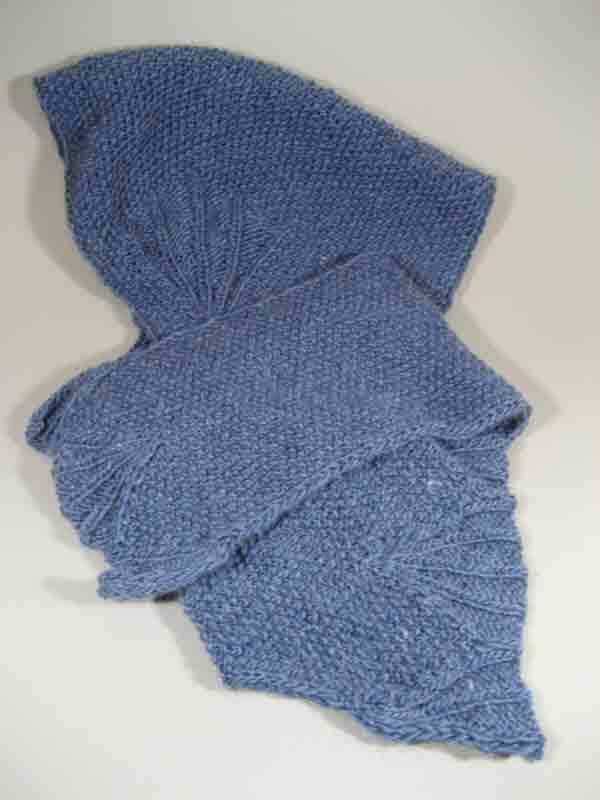 This entry was posted in Knitting and tagged Rowan Coccoon, Ysolda Teague by Noreen. Bookmark the permalink.